Window phones have just started their run on the market just over a past few years, so they may be a lot behind than Android and iPhones regarding the market share, which is, unfortunately, the scale on which the success is determined. But they are catching up slowly and steadily. Statistics states that Window operated smartphones will get what they deserve in the upcoming few years. 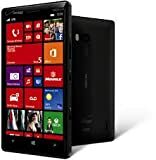 Today, we present to you the list of top 4 Lumia smartphones that runs on the Windows platform. Nokia is the ruler in the Window phone market quite certainly without any thoughts. With a massive 32 GB of internal storage and 2 GB Ram, this is the primary Window phone that we all have been waiting for a very long time. With 20 MP camera; a pleasurable add-on along with the 5.0 inch, 1080 Resolution screen, we must say that this one rules the list. You sure knew that Lumia is going to order the list whatsoever. This excellent camera phone comes with high profile 41 MP camera that is said to be lot better than any other smartphone in the market, whether it be the iPhone or any Samsung hotshot handset. However, the only selling point of this beauty is not just the camera; it has lot more to offer. The battery runs for one full day, and the screen is exceptionally well making it certainly one of the best smartphones ever produced. Although the price is a bit on the higher side, this isn’t a bad deal. Lumia 1520, the cousin brother of 1320, is one of the most popular Window phones in the market at present. The quad-core processor and full HD screen are among the top selling points of the phone. The smallest of them all is this one. 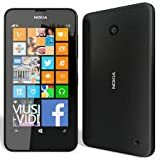 Small in the size and the price tag maybe, but not on the performance front, this is the entry-level Lumia, which also happens to be the most popular. With a cute and small 4.5 inch screen, the phone is immensely pocket-friendly, and we must say that this is bang for the buck for your hard earned money. Last but not the least, the exceptionally well battery backup that can give any Android biggie a run for their money, this one deserve a place in the list of the best Window Lumia smartphones.